Lost Links Choker / hand made eroded chain link necklace / by Welfe. 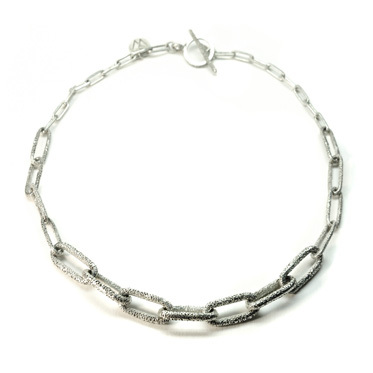 The Lost Links Choker has an eroded texture that has been filed and polished back. It is available in all silver or get in touch for custom options such as gold links.